Following your dreams of opening an online store-front requires plenty of planning, procurement and promotion. Once live, growing a customer base, encouraging repeat business and outpacing the competition become major goals. Even if you are selling consistently, there is always room for improvement. 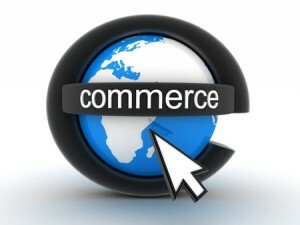 Yet many e-commerce businesses are not aware of what truly measures success in this realm. While some may look at the number of sales and deduce that an increasing number is good, things are not always so black and white. Today, we’ll examine some of the best measurements of success in the world of e-commerce, helping you to better optimize your strategy for the long-term. Arguably the single biggest factor in measuring success for e-commerce stores is the amount they must spend per customer. While the cost of products and services relative to profit play a role, the cost of acquiring a customer is exceptionally important. Which store (assuming both earn equal initial profits of $10 per sale) is more successful: the store that sells 100 products and spends $2 per customer on acquisition, or the store that sells 150 products and spends $5 per customer? At the end of the day, the store that sold 100 products actually made slightly more money. Pinging links, ads and email marketing campaigns to targeted audiences can become expensive: keeping your customer acquisition costs low can help you make more money with fewer sales. Many metrics can be used to measure success, but few provide real insight and are indicative of success like repeat business. Think about it like this: if you’re constantly driving new traffic to your e-commerce site, then there’s a good chance you’re constantly spending money to do so. If 10% of your traffic comes in the form of repeat business and does not have to be marketed to via paid campaigns, then that means 90% of your traffic is easily lost without paid strategies. The higher the percentage of customers who are loyal and return of their own volition, the more profitable your business can be. Additionally, a large number of repeat customers ensures that you can deploy that ad spend in other areas, attracting even more customers and further growing your customer base. The great thing about the internet is that selling products at all price points is relatively easy. Whether you’re offering $10 gadgets or $5000 luxury products, there is an audience out there willing to purchase them – if you know where and how to find them. While targeting more expensive niches may mean you sell fewer products or services overall, the margins on each will be far greater. Additionally, costs associated with customer acquisition tend to be lower relative to the profit of each product, meaning that you’ll actually spend less and work less for more money. As such, an increasing number of e-commerce stores have shifted toward pinging links to more expensive products and offerings (which totally makes sense given the above information). Now that you know three of the best ways to measure overall e-commerce market success, which metrics do you have working in your favor? If none of these apply to your store yet, consider revising your approach and implementing as many changes as possible to improve overall performance.